Yes, multi-acre estates and VERY VERY WEALTHY. 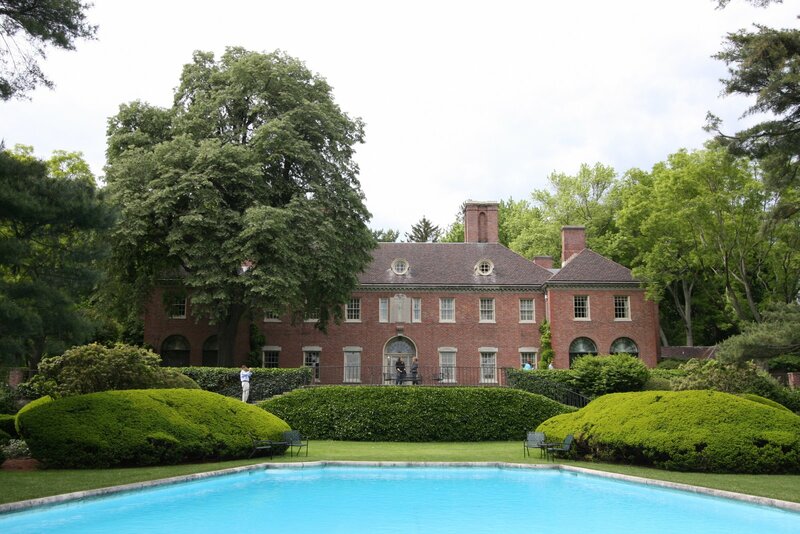 Old Westbury is a village (incorporated in 1924) partly in the southeast part of the Town of North Hempstead and partly in the central-west part of the Town of Oyster Bay, in the central part of Nassau County along the North Hempstead/Oyster Bay town line. Beginning on the north and moving in a clockwise direction, the Village of Old Westbury in the Town of North Hempstead and the Town of Oyster Bay is bordered on the north by the Village of Brookville in the Town of Oyster Bay; on the east by the Village of Brookville and the Hamlet of Jericho in the Town Oyster Bay; on the south by the Village of Westbury in the Town of North Hempstead; and, on the west by the Hamlet of Roslyn Heights and the Village of East Hills in the Town of North Hempstead. The Village of Old Westbury has a different border than does the "Old Westbury, NY 11568" ZIP Code postal zone (i.e., a place can be in the Village of Old Westbury and have other than an "Old Westbury, NY 11568" mailing address): there are places in the Village of Old Westbury that have a "Glen Head, NY 11545", "Roslyn, NY 11576" and "Jericho, NY 11753" mailing address. The most southerly extension of the gold coast. Extreme wealth. Nassau county is one of the most wealthy counties in the country, and most of that comes from the north shore. Beautiful place. I used to drive out there. There's also a nice mall not too far from it. I think it's in Hicksville, the mall that is. (Correct me if I'm wrong). The Broadway Mall is in Hicksville, but for some reason I have a feeling that not too many Old Westbury residents are shopping there! Thanks for the mention, I'm glad you like my blog (I found you guys after looking at my google tracker). And for the record, plenty of OW residents shop at the Broadway Mall, though growing up I always went to Roosevelt Field.